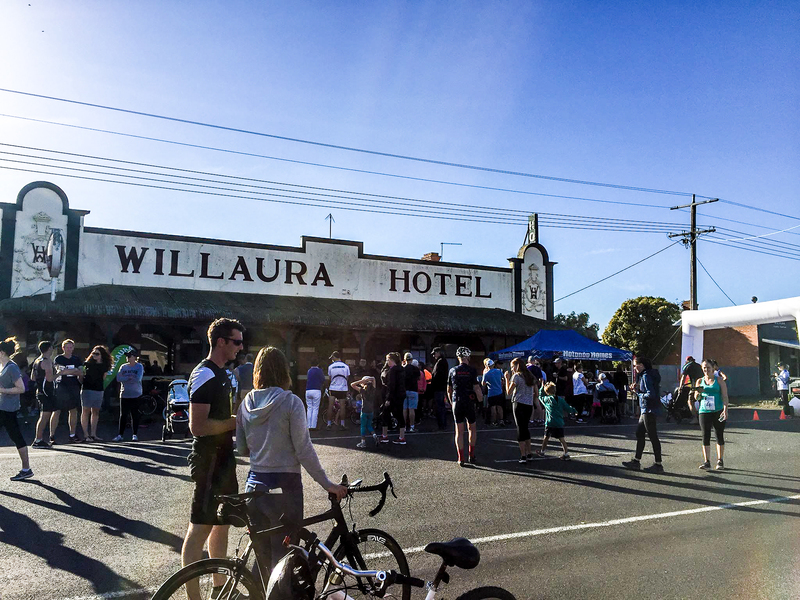 The Willaura Farm to Pub is a fun community riding, running and walking event which is held in the township of Willaura each year. Started in 2003 as a small family event, today the Farm to Pub attracts hundreds of people who come to take part to raise money for a worthy cause. The Willaura Farm to Pub brings together the local community who take part in a 5-kilometre walk, 8.2-kilometre run/cycle or a 16.4-kilometre run/cycle. Buses depart from the Willaura pub to take runners to the start line near Taits Road. Competitors can sign up on the day, but make sure to be at the pub 1 hour before the race start time. The 5km course is on a sealed road and is suitable for prams and wheelchairs. The Willaura Farm to Pub 16.4km run/ride and 8.2km run/ride are handicap events. You will be asked to submit your estimated finishing time during registration to allow the calculation of your handicap. Awards are given after the race, everyone comes together for a meal and a drink at the pub. There is often live music and activities, such as a jumping castle, for the kids to enjoy. Raffles will also be held and there will be prizes for the fastest race time. Since 2007, money raised from this event has gone to Beyond Blue, an organisation that promotes good mental health, tackles stigma and discrimination; providing support and information on anxiety, depression and suicide. So gather up your friends and come along to this event which raises money for a fantastic cause.